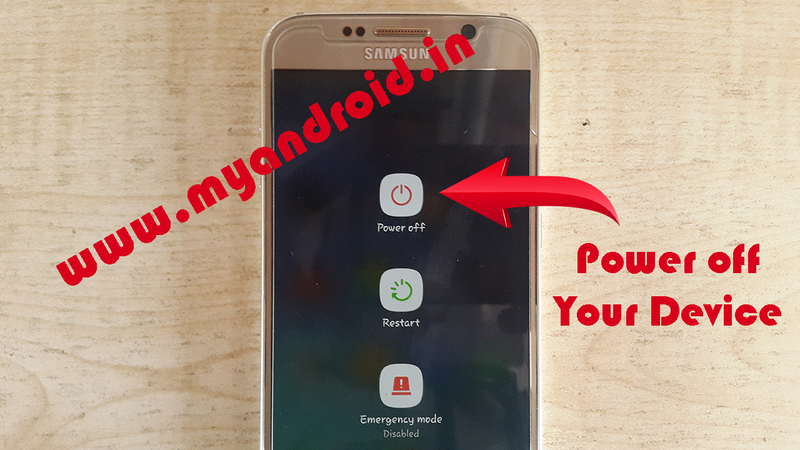 Atleast 30-40 percent of battery to perform the rooting process. 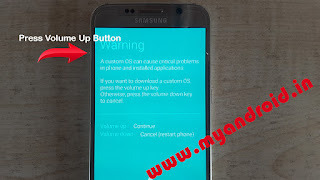 Step 1 : Download and Install Samsung USB Driver on your Computer. 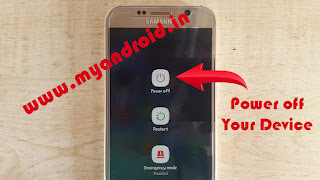 If Samsung USB Driver already installed on your computer then Skip this Step. 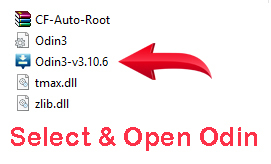 Step 6 : Now, Open Odin3 (found in the extracted files, that you have Downloaded in the Step#2) on your computer. Then connect your Smartphone to the Computer. Step 7 : Once you have connected the Smartphone to the computer, Odin Will automatically recognize the device & show “Added” message at the Lower-left panel. 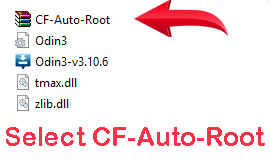 Step 8 : Once your device detected by Odin, click on the PDA Button & Select the CF-Auto-Root.tar file (you have downloaded this file in Step#2). Step 9 : Now, click on the Start button in odin to begin the Flashing. 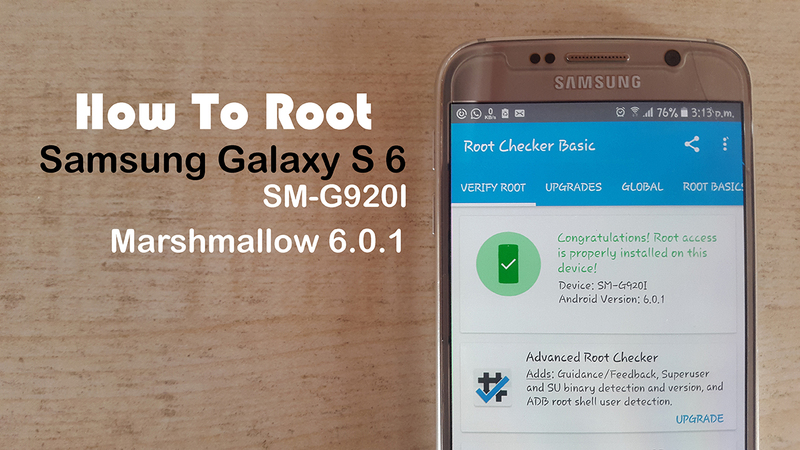 Step 10 : Flashing usually takes 30-50 seconds to complete the rooting Process on your Samsung Galaxy S6 SM-G920I on 6.0.1. One Rooting Process got completed, you will be able to see Green Box with Pass Written on it in Odin. 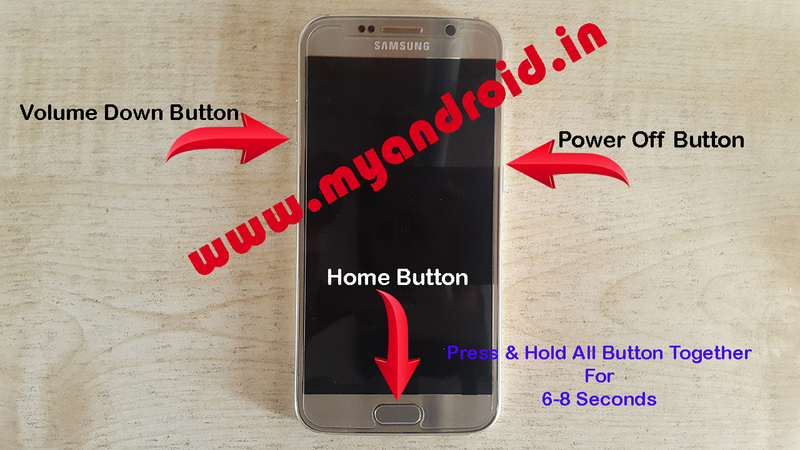 During this process Smartphone will Re-Boot Automatically. Step 11 : Once you see, the Pass message in Odin, you can disconnect your Device from the computer. 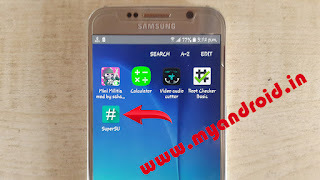 Step 12 : Now, to make sure you have successfully rooted your Samsung Galaxy S6 SM-G920I on 6.0.1, open Application Menu on your Smartphone & Find SuperSU App. 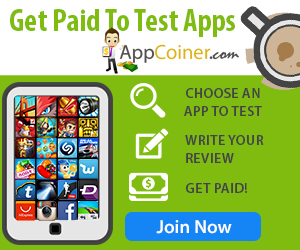 If this app exist on your Smartphone Then it means you have successfully rooted your device. Congratulations. Optional : You can also verify the root status of your device by using the Root Checker Application. 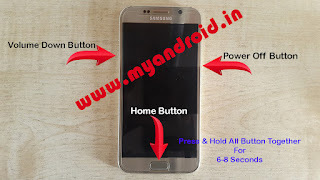 [*] Warning : The above tutorial only works for Android 6.0.1 with The built id MMB29K.G920IDVU3EPC6. 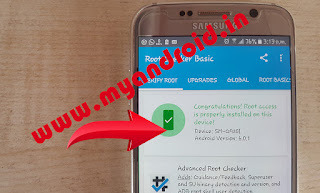 [*] If your device isn’t running on the same built id MMB29K.G920IDVU3EPC6, Then you need to download & flash the firmware based on the same build id Then after try to root your device from the above method. 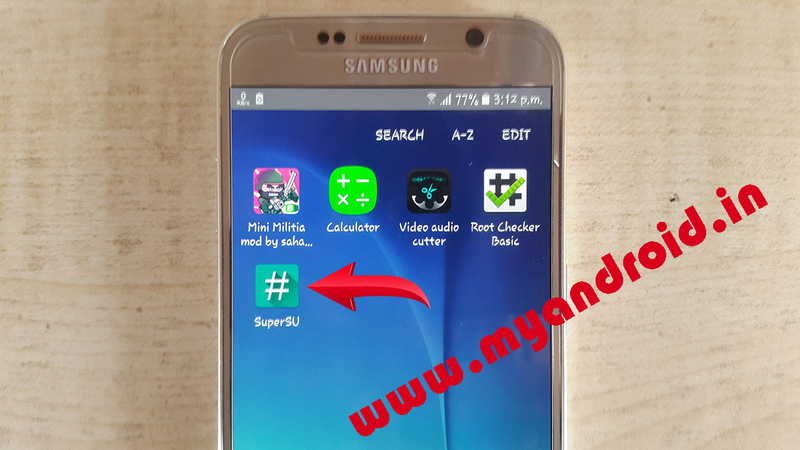 [*] No Data Loss Process : Your Personal Data including contacts, pictures, Videos, music wont be affected using the above method. In short, no data loss process. 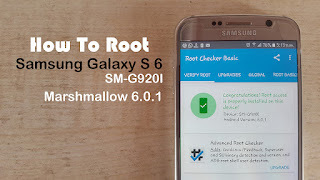 [*] Credits : Big Thanks to Chainfire for their CF Auto Root file for Samsung Galaxy S6 SM-G920I on 6.0.1, without tool the above tutorial was not possible. 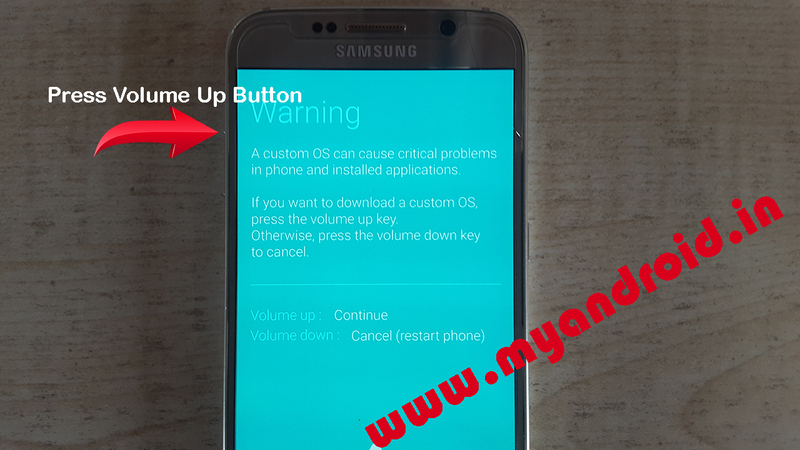 WARNING: Rooting your Samsung device will trip KNOX counter, which means you will NOT be able to use Samsung Pay ever again!